David Hume, in his Treatise of Human Nature, took the new confidence in the power of reason to its absolute conclusion by arguing for its ineffectiveness since it was impossible to prove the existence of things outside oneself. Elsewhere he denounced the many evils that came from organised religion and condemned ‘superstitious piety and devotion’; and this a few decades after Aitkenhead had been hanged for blasphemy. 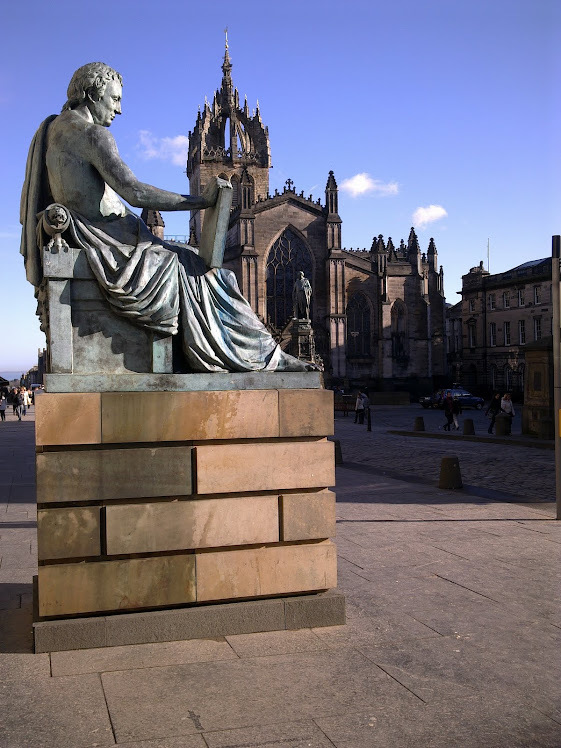 Hume’s scepticism may have cost him the chair of moral philosophy at Edinburgh University but he was never stopped from publishing his views .